The mission of Pegasus Therapeutic Riding is to enhance the lives of individuals with disabilities and challenges through equine-assisted activities and therapies. 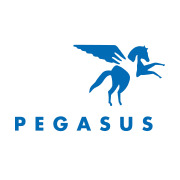 Pegasus began in the fall of 1975 and has grown to presently serving over 300 participants ages four and up each year. We offer therapeutic horseback riding; unmounted, ground based programs, and our Wings program for individuals at risk. Would you recommend PEGASUS THERAPEUTIC RIDING INC?